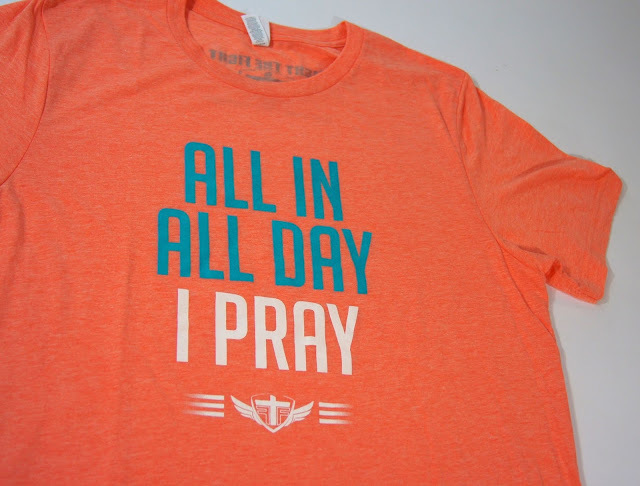 This week's featured item is our "All In, All Day, I Pray" Tee! Every FTF purchase benefits a person in need, and we are supremely grateful for every order we get. With that said, here are a few more details about our featured shirt! 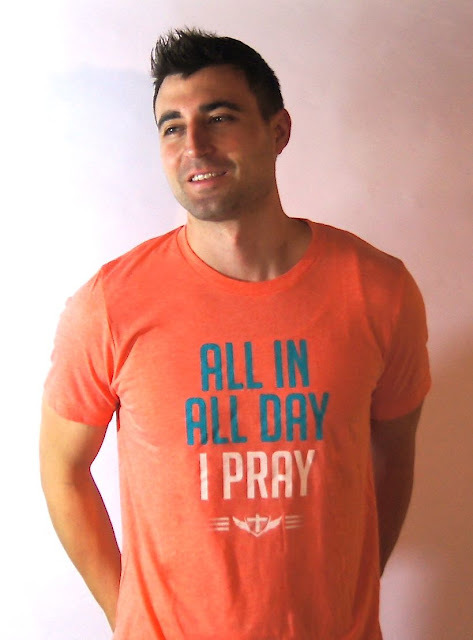 This super-soft, super-comfy, super-cool orange tee is made of a triblend fabric that is 50% cotton, 25% polyester, and 25% rayon. It is light, durable, and easy to get the wrinkles out of after washing! 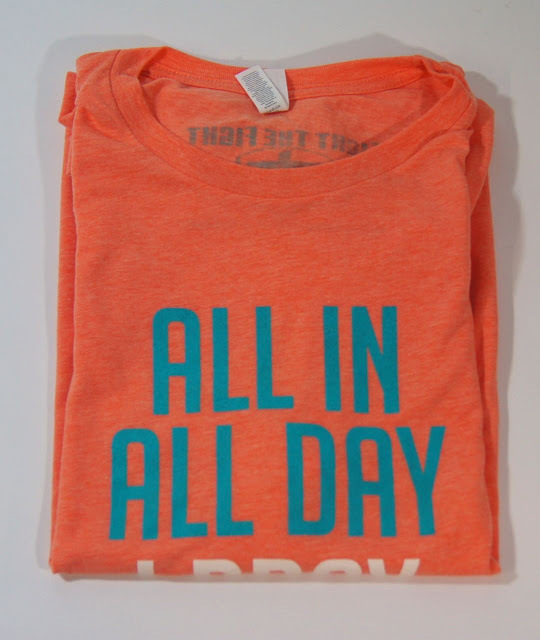 The designs are printed in teal and white ink that contrast well against the orange body. The meaning behind the quote is to have faith in the pursuit of your dream and to go all in with 100% effort in that pursuit. As long as you pray and keep your relationship with the Lord strong, he will help us all through the process! I'm 6'1" tall and weigh 190 lbs in the pic above. This tee comes in standard unisex sizing and runs true to size for width and length. Below is a size chart with the values listed in inches. A good way to figure out what size is best for you it to grab a shirt, any shirt, you already own that fits you well and measure it from armpit to armpit which will give you the body width. Match that width to the closest size on the chart below and BINGO, you will know the size you need! This tee is $24.99 and available in limited quantities. If your size is sold out when you attempt to order remember to plug you email address in by clicking the BIG BLUE TAB on the product page to receive a notification when it is restocked. You may use the code IMALLIN on the checkout screen to get 5% off your purchase of this item before Midnight CST on Sunday. but to discover our strengths."